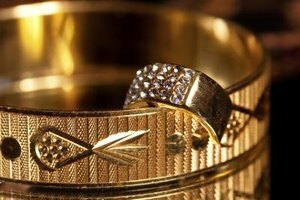 When jewelry causes a rash, the skin may break out into hives or become swollen and itchy. Remove the jewelry immediately and the symptoms should subside within a few hours and clear up completely within a day or two, depending on the severity of the rash. Nickel, found mostly in lower quality jewelry, is the likely culprit. Cheap jewelry often has plating to prevent the nickel from coming in direct contact with the skin, but the plating can wear off over time. 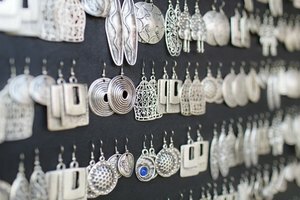 Pure silver or gold jewelry is substantially more expensive, but they're better options if you have a strong sensitivity to nickel. If you just can't resist wearing a particular piece of jewelry that causes irritation, there are a few things you can do to help prevent a rash. Keep the area dry. 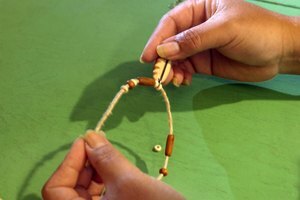 Bracelets and rings can cause an allergic reaction soon after washing your hands if you fail to completely dry them. Keeping your hands and jewelry dry isn’t foolproof, but it can help. Have the jewelry electroplated again to help to conceal the nickel. This works for a while, but it’s likely that the plating will rub off again eventually. Clear nail polish helps to seal the nickel. Apply it on the area of the jewelry that touches your skin. The polish wears off, so reapply the clear coat as needed. If you're getting rashes from expensive jewelry, it’s likely that it has come into contact with a substance that irritates your skin. Take it to a jeweler to get it cleaned and polished.